Discounting loans, one of the primary grievances the CBI and stockbroker Sanjay Dutt have raised, by itself isn't criminal or fraudulent. How do the allegations stack up? New Delhi: “Criminal conspiracy, cheating and criminal misconduct”, reads the first line of the Central Bureau of Investigation’s FIR against NDTV, Prannoy and Radhika Roy, their holding company RRPR Holding Pvt Ltd and unknown officials of ICICI Bank. On Monday morning, the CBI carried out raids and searches at four different places in Delhi and Dehradun, including the personal home of the Roys, in a move that the broadcasting company said “blatantly undermined democracy and free speech in India”. The FIR alleges a number of violations: the Roys allegedly engaged in a number of financial market violations and caused “a loss of Rs 48 crore to ICICI Bank” by entering into a sketchy loan repayment arrangement. While much media attention on Monday was devoted to NDTV, the FIR also slams ICICI Bank and the role it allegedly played in “covering up” the transfer of effective ownership of NDTV to a Reliance-linked paper company from 2009 to at least 2012. What allegations are serious and what aren’t? The Wire breaks it down. At the moment, it appears that the CBI has (somewhat unusually) acted primarily on the complaint of a private individual, although most of the basic facts of the case have been public for at least four years. The person behind the FIR is one Sanjay Dutt, whom the CBI identifies as director of Quantum Services Private Limited. Dutt is no stranger to NDTV. He has had a long relationship with the company – over the years, he has been a consultant to the TV channel, a minority stakeholder (at one point owning 1% in the broadcast company) as well as a stockbroker. Three years after the Sunday Guardian first broke the story of the Indiabulls and ICICI loans, Dutt started pursuing the allegations made against NDTV. In April 2013, he wrote a letter to the RBI about the conditions under which the ICICI loan had been given and later settled. In June 2013, after Moneylife published a report on the same issue, NDTV sent a legal notice to both Quantum Securities and Dutt, accusing the latter of making “defamatory statements”. In the same year, Dutt filed complaints with the enforcement directorate (ED) and the directorate general of income tax investigation – agencies that are responsible for investigating and prosecuting crimes related to foreign funds and money laundering; as well as for any violations of tax laws. Two years later, in 2015, Dutt also filed a writ petition in the Delhi High Court against the ED and the DGIT – this time alleging that both agencies had failed to act on his 2013 complaints. Despite Dutt’s actions from 2013-15, he has yet to get a favourable court order. Coming back to 2017, the CBI’s FIR and raids appear to be prompted solely by a complaint made by Dutt (on April 28, 2017) in which he reiterates his long-standing allegations against the broadcasting company. Did the CBI act solely on this complaint? Is this normal? The FIR – over 80 pages long – largely consists of Dutt’s complaint. There is no indication, at the time of publishing this article, whether the CBI and the allegations made in the FIR also rely on an independent investigation undertaken by itself, or evidence from the income tax department, the ED or the directorate general of income tax investigation. Multiple legal experts told The Wire that the CBI can indeed act on personal complaints – the investigation agency has only done so a handful of times in the past – although the burden of proof should ideally be higher. 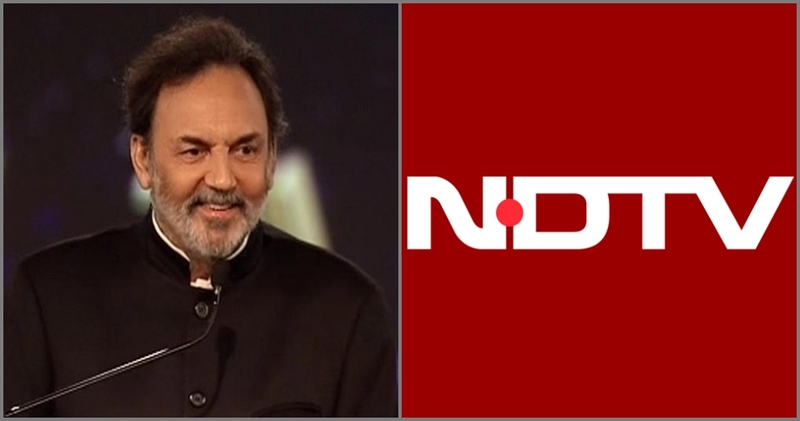 It is a fact, however, that the income tax department and the ED have launched separate investigations against NDTV over tax liabilities (in the range of Rs 450-500 crore; NDTV has contested this demand in the courts) and whether the broadcasting company set up joint ventures to raise capital abroad (one ED affidavit claims that between 2006 and 2011, it received Rs 648.1 crore in foreign funds). The FIR’s allegations, however, appear to be only loosely connected to NDTV’s tax troubles and the allegation of potential FEMA violations arising from its foreign funding. In an analysis in the New Indian Express on Tuesday, S. Gurumurthy, co-convenor of the Swadeshi Jagran Manch, examines the broadcasting company’s foreign fundraising and the potential tax evasion issues that arise from this. He has raised these issues in the past too, though. NDTV’s response has been that the lack of interest of the authorities – running over successive governments – in Gurumurthy’s arguments is itself a sign that there has been no wrongdoing. In a statement released on Tuesday, the CBI has defended itself, saying that it had registered a case only after conducing “due diligence” and that the results of its investigation would be filed before a competent court of law. It further justified its jurisdiction in this particular case by pointing out that certain provisions of the Prevention of Corruption Act also applied to officials of private banks. What are NDTV and ICICI accused of? One problem in reading the allegations contained in the FIR is that it almost completely stems from the (admittedly exhaustive) complaint filed by Dutt. The FIR charges the Roys, their company (RRPR Holding Pvt Ltd), NDTV and “unknown officials of ICICI Bank under section 120 B of the Indian Penal Code and section 13 (2) of the Prevention of Corruption Act (1988) for “criminal conspiracy, cheating and criminal conduct”. However, over 90% of the FIR is dedicated to Dutt’s complaint and allegations against NDTV. At the end of the complaint, the FIR ends simply with one paragraph signed by CBI’s Kiran S.
Does this mean the CBI agrees with Dutt’s allegations? Or that Dutt’s allegations, which were sent to the agency a month ago, merely demand further investigation? Nevertheless, the charges against NDTV, the Roys and ICICI Bank are two-fold. First, the manner in which a loan was taken by NDTV’s promoters from ICICI Bank in 2008 and repaid in 2009 allegedly gave rise to a number of potential legal and financial market violations. Second, Dutt’s complaint accuses ICICI of being a willing participant in the change of ownership/control of NDTV to an entity called Visvapradhan Commercial Private Limited – a paper company, as Caravan has pointed out, which received money from Mukesh Ambani’s Reliance Industries. “… The bank was involved in a conspiracy with promoters to conceal the true acquirer of NDTV, the real source of funds and of course indulging in hawala/PMLA violation,” the FIR says. What was wrong with the ICICI loan? The primary allegation is that the Roys caused “pecuniary loss of over Rs 48 crores” to ICICI Bank by entering into a settlement agreement with the bank. This “loss” of Rs 48 crore came from not repaying the full loan amount (Rs 350 crore as against the Rs 375 crore) and from ICICI Bank waiving interest income even though the NDTV promoters allegedly had sufficient income and resources to pay for both. Legal experts, however, pointed out that the practice of discounting loans or entering into less-than-favourable settlement agreements isn’t evidence of criminal fraud or violative of the Prevention of Corruption Act. “Discounting loans is a normal fact of business in the banking industry. It is between two private parties and by itself, there is nothing fraudulent about it. There is nothing criminal about it. This is a normal practice when the bank does what it can to get back as much money as it can. When it comes to issues of waiving interest income or setting lower interest rates, a private bank has the right to do what it determines is best for loan recovery,” Ramesh Vaidynathan, partner of Advaya Legal, a Mumbai-based corporate law services firm, told The Wire. Indeed, almost all the evidence shows that NDTV hasn’t defrauded ICICI. The broadcasting company’s updated statement yesterday point to a crucial bit of evidence – an August 2009 letter from ICICI Bank that confirms that the 2008 loan has been “repaid in full”. The FIR curiously makes reference to the same letter and suggests that ICICI’s decision to discount the loan is a “blatant cover-up of sorts” because ICICI overlooked the payments made later by VCPL. Secondary allegations around the ICICI loan stem from alleged procedural violations that have been public for the last few years: the collateral offered for the Rs 375 crore loan was the Roys’ entire shareholding in NDTV, which was not disclosed to the stock exchanges and may indeed be violative of a number of RBI and banking industry regulations. Capital market regulator SEBI in 2016 took action against NDTV for a number of similar disclosure lapses. What about the role of ICICI in the transfer of ownership of NDTV? This is where things are not particularly clear. Dutt’s complaint alleges that the complex web of transactions that link the Roys and RRPR Holdings to VCPL and Reliance, and resulted in a de facto transfer of ownership from 2009 to at least 2012, was “allegedly prepared in concert with ICICI Bank”. This results in two more allegations against ICICI. The first is that it helped engage in a conspiracy that was designed to help “conceal the true acquirer of NDTV”. And the second is that if ICICI Bank did indeed know of the Reliance transaction (a total loan of Rs 403 crore, which would have paid for the full 2008 loan along with interest income), it executed a “sham settlement agreement” in 2008. Dutt further accuses Prannoy Roy of siphoning out Rs 53.85 crore in March 2010 (Reliance’s loan was split into two parts: Rs 350 crore + 50 crore). It is this money that ICICI Bank allegedly knew of, but refused to recover. If there was an offence, what of ICICI’s culpability? Sources tell The Wire that ICICI is yet to receive the FIR, which fingers “unknown officials” of the bank. An ICICI Bank spokesperson confirmed that the company is yet to receive a copy of the FIR. The spokesperson also confirmed that ICICI Bank didn’t file a complaint of its own. The CBI’s investigation, and the decision to skip a preliminary enquiry, therefore comes purely from the due diligence it has carried out and Dutt’s complaint. ICICI’s alleged role in the NDTV affair is curious. According to Dutt’s complaints, the bank loaned money to the Roys, knew that it could recover the full amount and interest income through the loan that Reliance gave them, but refused to do so. In addition to this, they were, according to the FIR, a willing participant in allegedly helping NDTV cover up who was in actual control of the broadcasting company for a number of years. The bank allegedly did all of this while taking a haircut of roughly Rs 50 crore. Why? Presumably the CBI’s investigation will shed light on this. The FIR towards the end makes reference towards the $83 million that NDTV raised from overseas subsidiaries in Mauritius and brought back into India at the time of the VCPL/Reliance loan. It rightly notes that this amount is roughly equal to the Rs 350 crore that NDTV paid ICICI Bank. Dutt’s complaint and the FIR, however, don’t expand on the possible linkages and implications that arise because of this.